After living in Turkey, and traveling all around the country, I can tell you one of the major reasons I keep going back is for Turkish food. Turkish cuisine goes back centuries, and because of the Ottoman Empire spread throughout many parts of Europe. 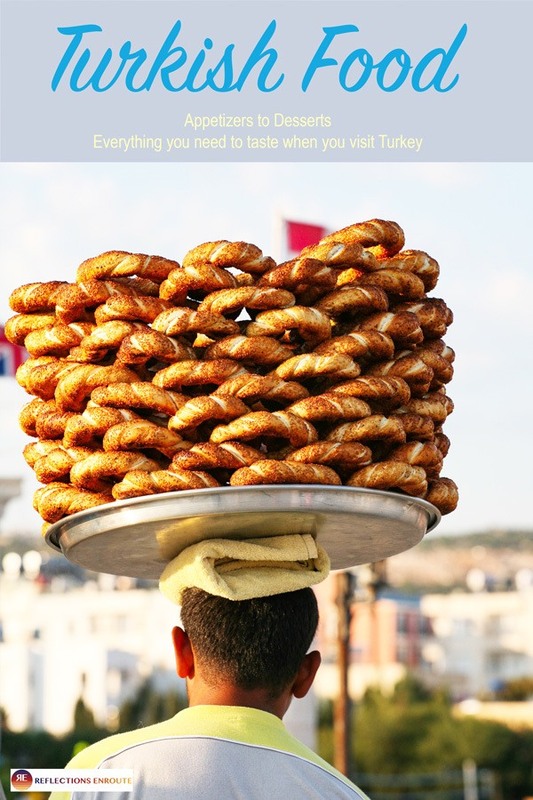 Today you can find Turkish restaurants in many major cities, because once you’ve really delved into traditional Turkish food, like the famous Traditional Turkish Borek, you won’t ever be able to get enough. Why Is Turkish Food So Good? 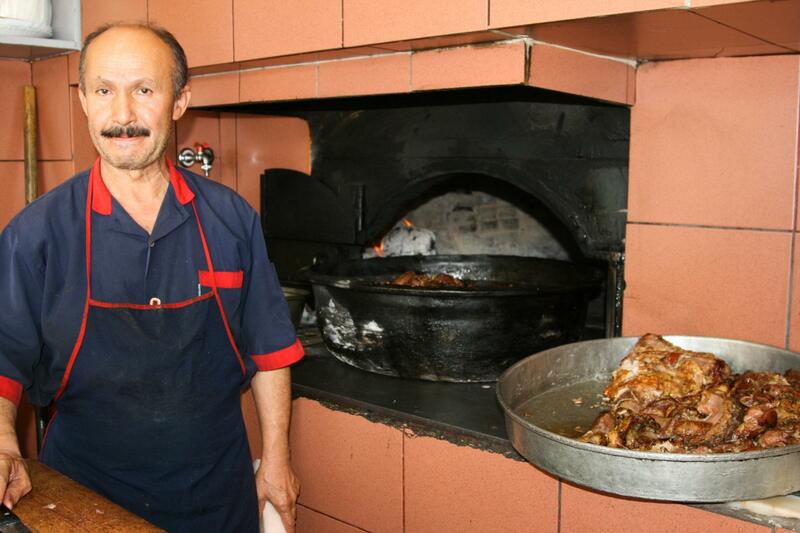 Turks still cook the way their mothers taught them. They have the biggest markets and bazaars where picking up the freshest ingredients is quick, cheap, and easy. The markets are fun to walk around, and you can find everything from seasonal produce, eggs, milk, cheese, flour, baked goods, meat, really anything. The vendors are both commercial vendors as well as the neighborhood ladies who have picked or made something to sell. Every village, town, city has at least one bazaar, just check to find out what days they are held by asking the hotel clerk. Fresh grapeleaves for sale in Ankara. Breakfast in Turkey is a smorgasbord of bread, tomatoes, cheese, olives, cucumbers, honey, and whatever else they have on hand. On weekends, especially, you will see Kahvalti (breakfast) served all over. It’s similar to a western brunch, and the restaurant kahvalti can be eaten into the late afternoon. One of the best places to experience this is the restaurants right near the bus stop at the Rumeli Hisari in Istanbul. Pin Turkish Food to keep in your files. In Turkish, appetizers are called meze. There are so many to choose from that you can easily make your entire meal out of mezes. I have done this, but traditionally the waiter comes around with a “tepsi” or tray highlighting the meze of the day. You can take them right off the tray or point and he will serve them to you. Usually a few to share are a good way to start your dinner. There are so many mezes, that I couldn’t possibly write them all down, but here are some of the regulars. Pickled anchovies – Just what you envision and tasted better than you think. The Turks do love their meat, especially the lamb is good, but surprisingly so is the chicken. In fact, we pine for Turkish grilled chicken. I think it’s the best, tenderest I’ve ever eaten. Of course, there is no pork at all. Portions are pretty large, so if you plan on having a multi-course dinner with mezes and dessert, you might want to share the main dish. There are lots of Doner Kebab stands. Most westerners love it Iskender Kebab style. This is a pide, with the döner meat on top, then tomato sauce, and butter on top of that. It’s delicious! Any “Guveç” – Meat, vegetables cooked in clay dish. Shrimp are delicious. Mantı – Like small raviolis, with a garlic yogurt sauce. Might take some getting used to. I love them! My favorite is Firin Sutlaç – Which is a rice pudding (make with milk), but there are plenty of dessert and snack choices to choose from. Chocolate souffle – This is served pretty large, enough for a family of four easy. It’s decadent and unforgettable, but completely different than what I would consider a traditional souffle. 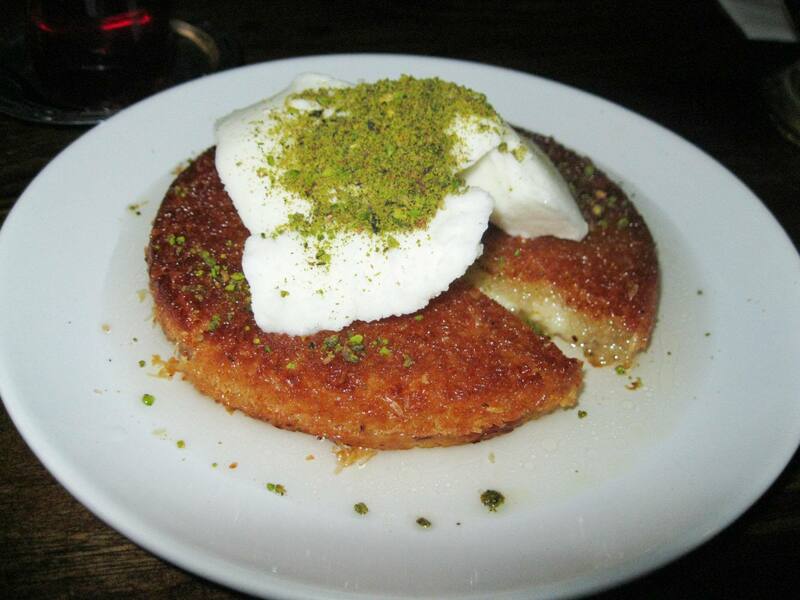 Dodurma – Turkish Ice Cream. Turkish Chicken Breast Pudding – What can I say, a “once in a lifetime” type of thing. Just try it. 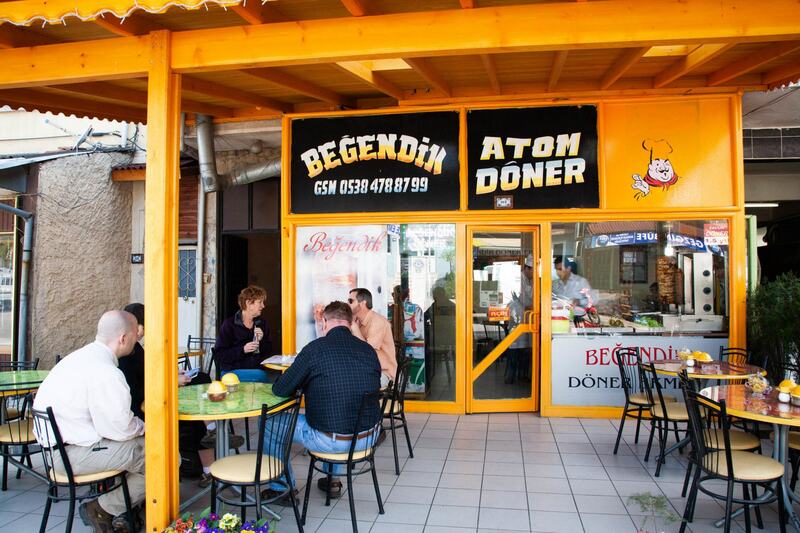 Can you find vegetarian food in Turkey? Of course you can! It just might not be as obvious as some places, but there are plenty of choices for the vegetarian in your life.